At Casino Pawn and Gold, we want to buy your Silver, as a Silver Buyer serving the residents of Case Grande, Coolidge, Florence, Maricopa, and Arizona City. But we also want to buy your Silver and will pay you the most money for it. GUARANTEED! 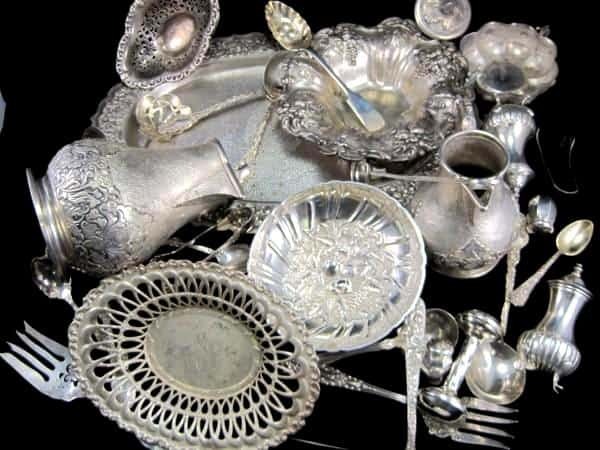 Silver Jewelry, Silver Flatware, Silver Bars, Silver Coins, Silver Ingots, Silver Bullion, or anything else you have that might be Silver, WE WANT IT! We want to be Casa Grande's premier Silver Buyer, as well as the surrounding areas of Coolidge, Florence, Maricopa, and Arizona City. We can either buy your silver outright or you can take a loan on it and get it back! 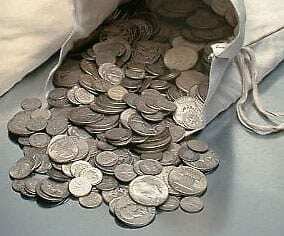 Whether you have jewelry, bars, ingots, one coin or an entire collection. Get most for your silver with us, as a the go to silver buyer in Casa Grande. We will closely examine them and give you the best price that you deserve. We have clients across the West Coast that are selling to us every day. Don’t lose 10%+ in fees on eBay or through a 3rd party seller. Sell to us today to our pawn shop in Casa Grande. Our associated have been buying and selling silver in both coin and jewelry form for well over a decade making them the true experts in Casa Grande, Eloy, and Arizona City. While apprasing and evaluating jewelry is an easy process that can be tackled by many, doing the same for coins can be trickier. This is where you want to go to a silver buyer you know you can trust as some coins can be 100% silver while others may only be 40%. IF you run into a pawn shop paying 40% for everything, you could be getting far less than you deserve. We believe, like the rest of the owrld, in the value of silver and are committed to getting our customers every last dime they deserve. We take any quantity of 90% Silver pre 1965 US coins. From $1000 Face Value bags to $10 Face Value lots. $1.00 Silver coins dated pre 1937 may bring you up to $50,000. Stop by Casino Pawn and Gold in Casa Grande for a free quote. Don't forget we also serve the residents of Coolidge, Florence, Maricopa, and Arizona City as well, so do not hesitate today!